Sometime ago I had come across a video where a Doctor was giving a philosophical speech. I found the speech very interesting. He says : when we have ill feelings or resentment towards others , the cells in our body get confused. Sounds strange isn’t it ?! He goes on to say that the cells in our bodies love each other and also love the cells in other beings . Each of these teeny weeny cells must be having their own cute little minds :)) and can sense the existence of cells in other beings. How ?? I don’t know . These cells get upset when we stop loving other beings around us. They get confused and start misbehaving. This results in disease. Ultimately, a disease is basically the cells in a particular organ not functioning the way they should. Isn’t it amazing how the billions of cells that make up our body interact with each other and keep us alive . 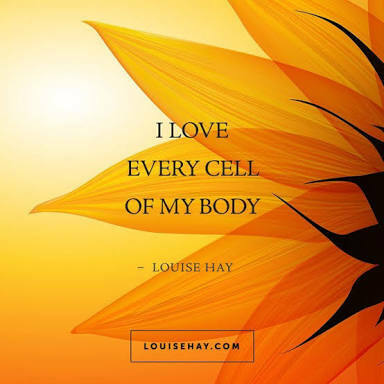 We are oblivious to the importance of these teeny weeny cells and take the body for granted. We now understand and appreciate that almost all diseases are psychosomatic. All the stresses that get accumulated and our mental patterns have an affect on the body. Our own mind is the reason for several illnesses in our body. But this explanation given by a Doctor , is very interesting and very different from all others.